Netflix announced new subscriber numbers last week – and it exceeded expectations. 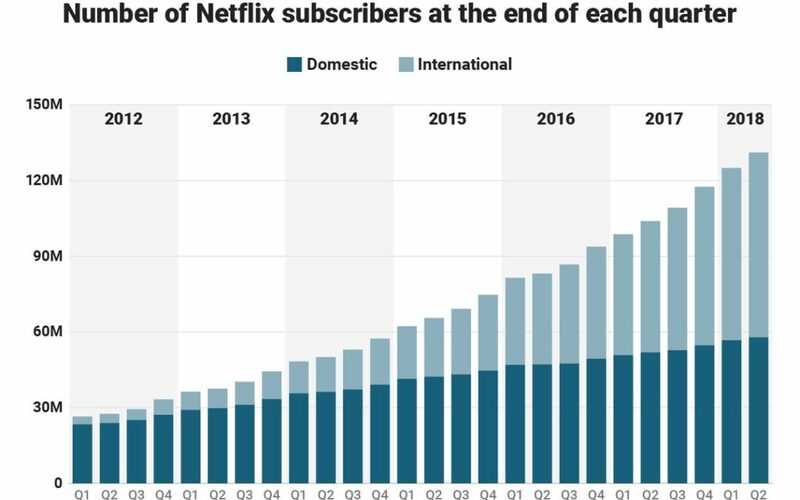 Netflix now has over 130 million worldwide subscribers. This is up 480% in just the last 6 years – from under 30 million. Yes, the USA has grown substantially, more than doubling during this timeframe. But international growth has been spectacular, growing from almost nothing to 57% of total revenues. International growth the last year was 70%, and the contribution margin on international revenues has transitioned from negative in 2016 to over 15% – double the 4th quarter of 2017. Accomplishing this is a remarkable story. Most companies grow by doing more of the same. Think of Walmart that kept adding stores. Then adding spin-off store brand Sam’s Club. Then adding groceries to the stores. 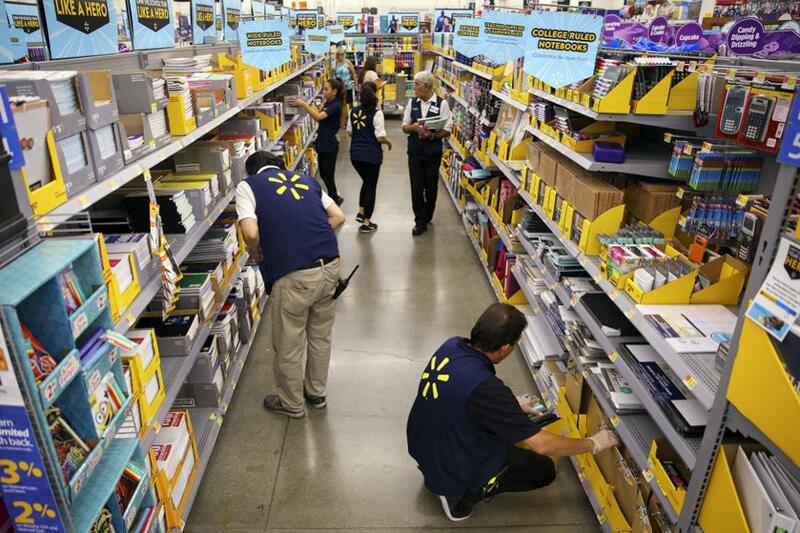 Walmart never changed its strategy, leaders just did “more” with the old strategy. That’s how most people grow, by figuring out ways to make the Value Delivery System (in their case retail stores, warehouses and trucks) do more, better, faster, cheaper. Walmart never changed its strategy. But Netflix is a very different story. The company started out distributing VHS tapes, and later DVDs, to homes via USPS, UPS and Fedex. It was competing with Blockbuster, Hollywood Video, Family Video and other traditional video stores. It won that battle, driving all of them to bankruptcy. But then to grow more Netflix invested far outside its “core” distribution skills and pioneered video streaming, competing with companies like DirecTV and Comcast. Eventually Netflix leaders raised prices on physical video distribution, cannibalizing that business, to raise money for investing in streaming technology. Streaming technology, however, was not enough to keep growing subscribers. Netflix leadership turned to creating its own content, competing with moviemakers, television and documentary producers, and broadcast television. The company now spends over $6B annually on content. Think about those decisions. Netflix “pivoted” its strategy 3 times in one decade. Its “core” skill for growth changed from physical product distribution to network technology to content creation. From a “skills” perspective none of these have anything in common. How did Netflix do that? By focusing on its Value Proposition. By realizing that it’s Value Proposition was “delivering entertainment” Netflix realized it had to change its skill set 3 times to compete with market shifts. 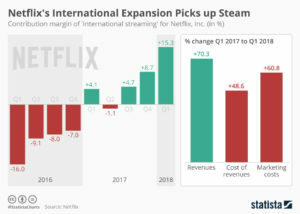 Had Netflix not done so, its physical distribution would have declined due to the emergence of Amazon.com, and eventually disappeared along with tapes and DVDs. Netflix would have followed Blockbuster into history. And as bandwidth expanded, and global networks grew, and dozens of providers emerged streaming purchased content profits would have become a bloodbath. Broadcasters who had vast libraries of content would sell to the cheapest streaming company, stripping Netflix of its growth. To continue growing, Netflix had to look at where markets were headed and redirect the company’s investments into its own content. This is not how most companies do strategy. Most try to figure out one thing they are good at, then optimize it. They examine their Value Delivery System, focus all their attention on it, and entirely lose track of their Value Proposition. They keep optimizing the old Value Delivery System long after the market has shifted. For example, Walmart was the “low cost retailer.” But e-commerce allows competitors like Amazon.com to compete without stores, without advertising and frequently without inventory (using digital storefronts to other people’s inventory.) Walmart leaders were so focused on optimizing the Value Delivery System, and denying the potential impact of e-commerce, that they did not see how a different Value Delivery System could better fulfill the initial Walmart Value Proposition of “low cost.” The Walmart strategy never took a pivot – and now they are far, far behind the leader, and rapidly becoming obsolete. Do you know your Value Proposition? Is it clear – written on the wall somewhere? Or long ago did you stop thinking about your Value Proposition in order to focus your intention on optimizing your Value Delivery System? I’ve been a huge fan of Netflix. In 2010, I predicted it was the next Apple or Google. When the company shifted strategy from delivering physical entertainment to streaming in 2011, and the stock tanked, I made the case for buying the stock. In 2015 when the company let investors know it was dumping billions into programming I again said it was strategically right, and recommended Netflix as a good investment. And I redoubled my praise for leadership when the “double pivot” to programming was picking up steam in 2016. You don’t have to be mystical to recognize a winner like Netflix, you just have to realize the company is using its strategy to deliver on its Value Proposition, and is willing to change its Value Delivery System because “core strength” isn’t important when its time to change in order to meet new market needs. President Trump has been bashing Amazon of late. And Amazon is down about 12.5% since peaking on March 12, 2018. Simultaneously the DJIA fell 10% from 1/26/18 thru 4/3/18, so it is hard to discern if Amazon’s pullback has more to do with market conditions and trade war fears or Presidential bashing. Amazon’s performance has been only slightly worse than the Dow. Anyway, one would think that if the President is right and Amazon plays unfairly, the future would bode well for Walmart. That is very unlikely. Since peaking on January 29, just after the Dow, Walmart crashed 32% by April 3. Over the last month the stock has stabilized, but unfortunately the signs are not good for Walmart investors. Walmart leadership has never shown a keen understanding of e-commerce, nor a commitment to making Walmart a leading market competitor. You might counter that Walmart’s acquisition of Jet.com showed a strong commitment. But we now know that amidst the minimalistic hype, Walmart actually cheated when providing its e-commerce results. And when Walmart hired a former Tesco executive to lead Jet.com’s grocery sales effort, the news was not splashed front page. Rather it was hidden in an internal email discovered by Reuters and given almost no coverage. Like Walmart was afraid to let people know it was incompetent and hiring an outsider. Investors, and customers, need to admit that it is a LOT easier for Amazon to learn about traditional store operations by purchasing Whole Foods than it is for Walmart to learn how to succeed in e-commerce. 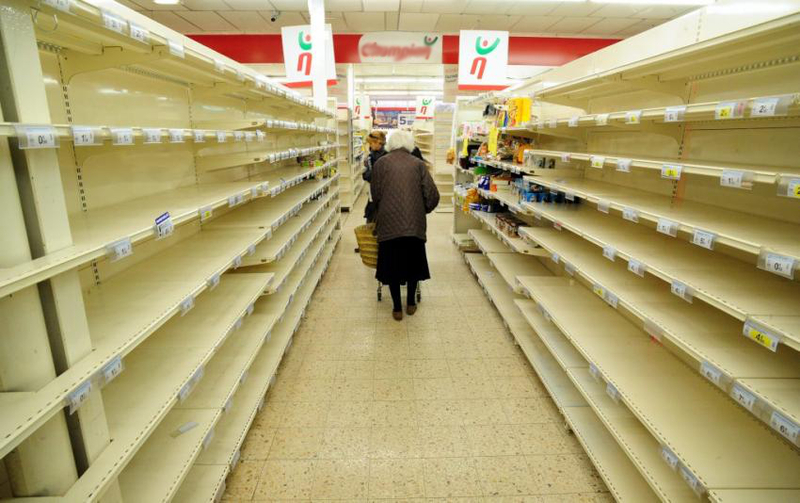 Traditional grocery “excellence” is easy to come by, after all there are thousands of experienced grocery store executives. So Amazon can buy Whole Foods and gain what knowledge it needs overnight, while adapting Whole Foods to the tremendous e-commerce insight embedded in Amazon. But Walmart is struggling to add compete with Amazon in e-commerce, where knowledge is a lot, lot tougher to come by. Telltale’s are strips of cloth used by sailors to provide early tips about wind direction and speed. Good sailors “read” the telltale strips to plot their sail use for maximum performance. We can read the “telltales” in business as well. The “telltales” at Walmart have long been bad signals for investors. After 3 years of recovery from a 2014 collision created by an overworked Walmart driver, comedian Tracy Morgan recently returned to television with a new show. The overworked driver was a worrisome telltale of how Walmart pressured its employees to attempt competing against much lower cost e-commerce. By February, 2016 there were 10 very obvious telltales of Walmart’s inability to cope with Amazon and the market shift to e-commerce. Understanding e-commerce is worth a whole lot more than being good at running a tight retail operation. As I pointed out in May, 2016, knowing that trend is what makes Amazon worth so much more than the much bigger, and asset rich, Walmart. And the Walton family knows this, that’s why it became clear by October, 2017 that they were cashing out of the traditional Walmart business. As I’ve said before, if the Walton’s aren’t putting their money in Walmart (or shopping in the stores) why should you? On February 20, 2018 Walmart’s stock had its biggest price drop ever. And the second biggest percentage decline ever. Even though same store sales improved, investors sold off the stock in droves. And after a pretty healthy recent valuation run-up. What happened? Simply put, Walmart said its on-line sales slowed and its cost of operations rose, slowing growth and cramping margins. In other words, even though it bought Jet.com Walmart is still a long, long way from coming close to matching the customer relationship and growth of Amazon.com. And (surprise, surprise) margins in on-line aren’t an easy thing — as Amazon’s thin margins for 15 years have demonstrated. In other words, this was completely to be expected. Walmart is a behemoth with no adaptability. For decades the company has been focused on how to operate its warehouses and stores, and beat up its suppliers. Management had to be drug, kicking and screaming, into e-commerce. And failing regularly it finally made an acquisition. But to think that Jet.com was going to change WalMart’s business model into a growing, high profit operation any time soon was foolish. Management still wants people in the store, first and foremost, and really doesn’t understand how to do anything else. All the way back in 2005, I wrote that Walmart was too big to learn, and was unwilling to create white space teams to really explore growing e-commerce (hence the belated Jet-com acquisition.) In 2007, I wrote that calling Walmart a “mature” competitor with huge advantages was the wrong way to view the company already under attack by all the e-commerce players. In July, 2015 Amazon’s market cap exceeded Walmart’s, showing the importance of retail transformation on investor expectations. By February, 2016 there were 10 telltale signs Walmart was in big trouble by a changing retail market. And by October, 2017 it was clear the Waltons were cashing out of Walmart, questioning why any investor should remain holding the stock. It really is possible to watch trends and predict future markets. And that can lead to good predictions about the fates of companies. The signs were all there that Walmart shouldn’t be going up in value. Hope had too many investors thinking that Walmart was too big to stumble – or fail. But hope is not how you should invest. Not for your portfolio, and not for your business. 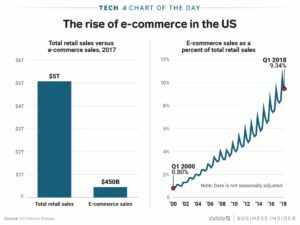 Walmart should have dedicated huge sums to e-commerce 15 years ago, now it is playing catch up with Amazon.com, and that’s a race it simply won’t win. 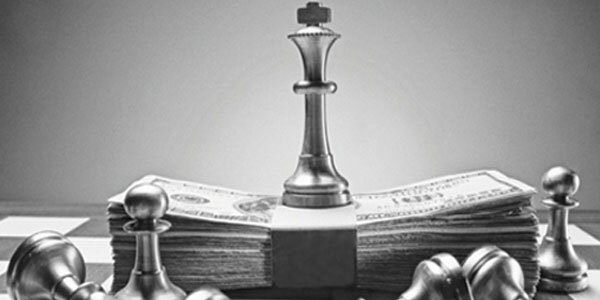 Are you making the right investment decisions for your business early enough? Or will you stumble like Walmart? Companies, like aircraft, stall when they don’t have enough “power” to continue to climb. Everybody wants to be part of a winning company. As investors, winners maximize portfolio returns. As employees winners offer job stability and career growth. As communities winners create real estate value growth and money to maintain infrastructure. So if we can understand how to avoid the losers, we can be better at picking winners. It has been 20 years since we recognized the predictive power of Growth Stalls. Growth Stalls are very easy to identify. A company enters a Growth Stall when it has 2 consecutive quarters, or 2 successive quarters vs the prior year, of lower revenues or profits. What’s powerful is how this simple measure indicates the inability of a company to ever grow again. Only 7% of the time will a company that has a Growth Stall ever grow at greater than 2%/year. 93% of these companies will never achieve even this minimal growth rate. 38% will trudge along with -2% to 2% growth, losing relevancy as it develops no growth opportunities. But worse, 55% of companies will go into decline, with sales dropping at 2% or more per year. In fact 20% will see sales drop at 6% or more per year. 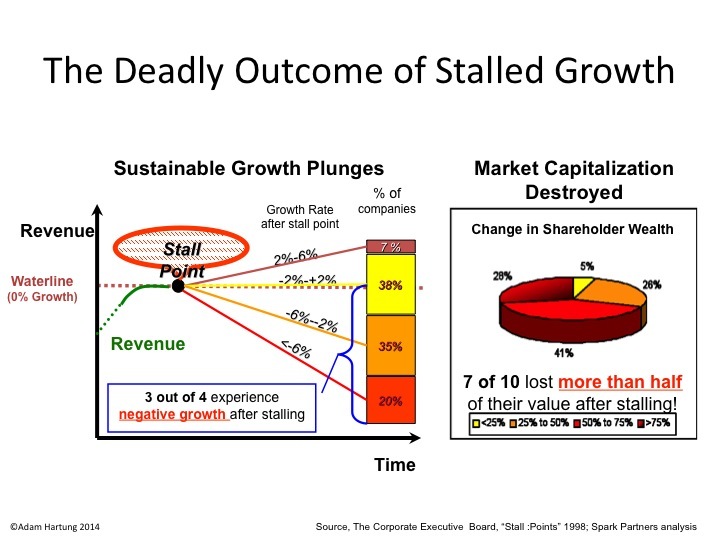 In other words, 93% of companies that have a Growth Stall simply will not grow, and 55% will go into immediate decline. 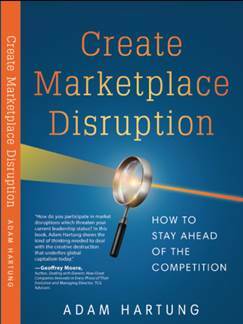 Growth Stalls happen because the company is somehow “out of step” with its marketplace. Often this is a problem with the product line becoming less desirable. Or it can be an increase in new competitors. Or a change in technology either within the products or in how they are manufactured. The point is, something has changed making the company less competitive, thus losing sales and/or profits. Unfortunately, leadership of most companies react to a Growth Stall by doubling down on what they already do. They vow to cut costs in order to regain lost margin, but this rarely works because the market has shifted. They also vow to make better products, but this rarely matters because the market is moving toward a more competitive product. So the company in a Growth Stall keeps doing more of the same, and fortunes worsen. But, inevitably, this means someone else, some company who is better aligned with market forces, starts doing considerably better. This week analysts at Goldman Sachs lowered GM to a sell rating. This killed a recent rally, and the stock is headed back to $40/share, or lower, values it has not maintained since recovering from bankruptcy after the Great Recession. GM is an example of a company that had a Growth Stall, was saved by a government bailout, and now just trudges along, doing little for employees, investors or the communities where it has plants in Michigan. 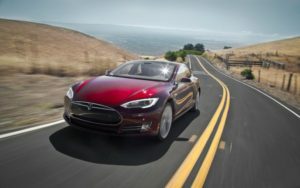 Tesla- enough market power to gain share “uphill”? By understanding that GM, Ford and Chrysler (now owned by Fiat) all hit Growth Stalls we can start to understand why they have simply been a poor place to invest one’s resources. They have tried to make cars cheaper, and marginally better. But who has seen their fortunes skyrocket? Tesla. While GM keeps trying to make a lot of cars using outdated processes and technologies Tesla has connected with the customer desire for a different auto experience, selling out its capacity of Model S sedans and creating an enormous backlog for Model 3. Understanding GM’s Growth Stall would have encouraged you to put your money, career, or community resources into the newer competitor far earlier, rather than the no growth General Motors. This week, JCPenney’s stock fell to under $3/share. As JCPenney keeps selling real estate and clearing out inventory to generate cash, analysts now say JCPenney is the next Sears, expecting it to eventually run out of assets and fail. Since 2012 JCP has lost 93% of its market value amidst closing stores, laying off people and leaving more retail real estate empty in its communities. In 2010 JCPenney entered a Growth Stall. Hoping to turn around the board hired Ron Johnson, leader of Apple’s retail stores, as CEO. But Mr. Johnson cut his teeth at Target, and he set out to cut costs and restructure JCPenney in traditional retail fashion. This met great fanfare at first, but within months the turnaround wasn’t happening, Johnson was ousted and the returning CEO dramatically upped the cost cutting. The problem was that retail had already started changing dramatically, due to the rapid growth of e-commerce. 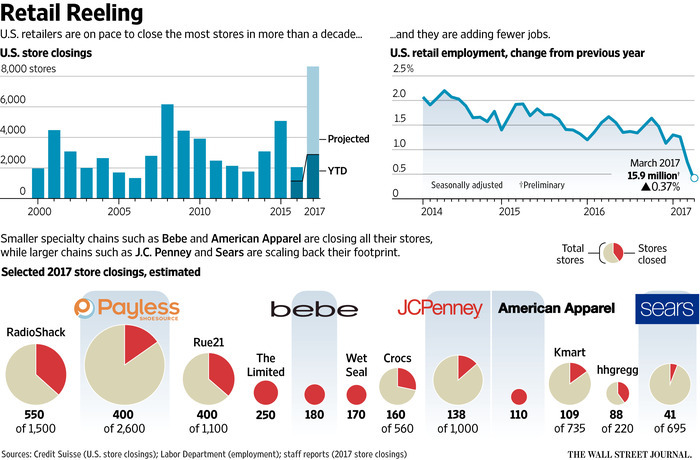 Looking around one could see Growth Stalls not only at JCPenney, but at Sears and Radio Shack. The smart thing to do was exit those traditional brick-and-mortar retailers and move one’s career, or investment, to the huge leader in on-line sales, Amazon.com. Understanding Growth Stalls would have helped you make a good decision much earlier. This recent quarter Chipotle Mexican Grill saw analysts downgrade the company, and the stock took another hit, now trading at a value not seen since the end of 2012. Chipotle leadership blamed bad results on higher avocado prices, temporary store closings due to hurricanes, paying out damages due to a “one time event” of hacking, and public relations nightmares from rats falling out of a store ceiling in Texas and a norovirus outbreak in Virginia. But this is the typical “things will all be OK soon” sorts of explanations from a leadership team that failed to recognize Chipotle’s Growth Stall. Prior to 2015, Chipotle was on a hot streak. It poured all its cash into new store openings, and the share price went from $50 from the 2006 IPO to over $700 by end of 2015; a 14x improvement in 9 years. But when it was discovered that ecoli was in Chipotle’s food the company’s sales dropped like a stone. It turned out that runaway growth had not been supported by effective food safety processes, nor effective store operations processes that would meet the demands of a very large national chain. 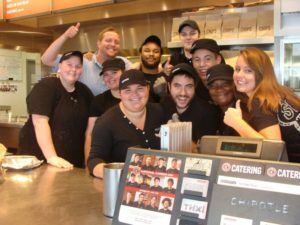 But ever since that problem was discovered, management has failed to recognize its Growth Stall required a significant set of changes at Chipotle. They have attacked each problem like it was something needing individualized attention, and could be rectified quickly so they could “get back to normal.” And they hoped to turn around public opinion by launching nationwide a new cheese dip product in 2017, despite less than good social media feedback on the product from early customers. They kept attempting piecemeal solutions when the Growth Stall indicated something much bigger was engulfing the company. What’s needed at Chipotle is a recognition of the wholesale change required to meet customer demands amidst a shift to more growth in independent restaurants, and changing millennial tastes. From the menu options, to app ordering and immediate delivery, to the importance of social media branding programs and customer testimonials as well as demonstrating commitment to social causes and healthier food Chipotle has fallen out-of-step with its marketplace. The stock has now lost 66% of its value in just 2 years amidst sales declines and growth stagnation. We don’t like to study losers. But understanding the importance of Growth Stalls can be very helpful for your career and investments. If you identify who is likely to do poorly you can avoid big negatives. And understanding why the market shifted can lead you to finding a job, or investing, where leadership is headed in the right direction. For years I have been negative on GE’s leadership. CEO Immelt led the dismantling of the once-great GE, making it a smaller company and one worth quite a bit less. The process has been devastating to many employees who lost their jobs, pensioners who have seen their benefits shrivel, communities with GE facilities that have suffered from investment atrophy, suppliers that have been squeezed out or displaced and investors that have seen the value of GE shares plummet. But now there is a new CEO, a new leadership team and even some new faces on the Board of Directors. Some readers have informed me that it is easier to attack a weak leader than recommend a solution, and they have inquired as to what I think GE should do now. I do not see the GE situation as hopeless. The company still has an enormous revenue base, and vast assets it can use to fund a directional shift. And that’s what GE must do – make a serious shift in how it allocates resources. 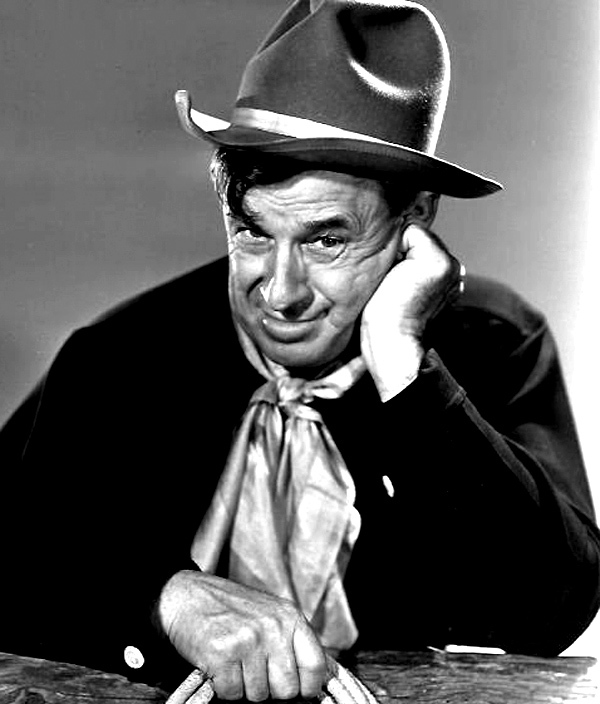 The first rule of holes is “when you find yourself in a hole, stop digging.” (Will Rogers, 1911) This seems simple. But far too many companies have their resourcing process on auto-pilot. Businesses that have not been growing, and often are not producing good returns on investment, continue to receive funding. Possibly because they are a legacy business that nobody wants to stop. Or possibly because leadership remains ever hopeful that tomorrow will somehow look like yesterday and the next round of money, or hiring, will change things to the way they were. In fact, these businesses are in a hole, and spending more on them is continuing to dig. The investment hole just keeps getting bigger. The smart thing to do is just stop. Quit adding resources to a business that’s not adding value to the market capitalization. Just stop investing. When Steve Jobs took over Apple he discontinued several Macintosh models, and cut funding for Macintosh development. The Mac was not going to save Apple’s declining fortunes. Apple needed new products for new markets, and the only way to make that happen was to stop putting so much money into the Mac business. When streaming emerged CEO Reed Hastings of Netflix quit spending money on the traditional DVD/Video distribution business even though Netflix dominated it. He even raised the price. Only by stopping investments in traditional distribution could he turn the company toward streaming. All growth strategies build on trends. After receiving funding from Microsoft to avoid bankruptcy in 2000, Apple spent a year deciding its future lied in building on the trend to mobile. Once the trend was identified, all product development, and new product introductions, were targeted at being a leader in the mobile trend. When the internet emerged GE CEO Jack Welch required all business units to create “DestroyYourBusiness.com” teams. This forced every business to look at the impact the internet would have on their business, including business model changes and emergence of new competitors. 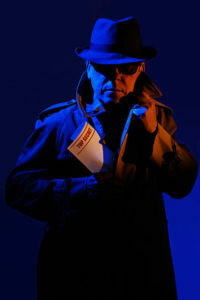 By focusing on the internet trend GE kept growing even in businesses not inherently thought of as “internet” businesses. GE has to decide what trend it will leverage to guide all new growth projects. Given its large positions in manufacturing and health care it would make sense to at least start with IoT opportunities, and new opportunities to restructure America’s health care system. But even if not these trends, GE needs to identify the trend that it can build upon to guide its investments and grow. and monetize their markets. Leaders of the acquired companies were given important roles in Facebook to help guide growth in users, revenues and profits. Netflix leads the streaming war, but it has tough competition. So Netflix has committed spending over $6billion on new original content to keep customers from going to Amazon Prime, Hulu and others. This large expenditure is intended to allow ongoing subscriber growth domestically and internationally, as well as raise subscription prices. This week CVS announced it is planning to acquire Aetna Health for $66 billion. On the surface it is easy to ask “why?” But quickly analysts offered support for the deal, ranging from fighting off Amazon in prescription sales to restructuring how health care costs are paid and how care is delivered. The fact that analysts see this acquisition as building on industry trends gives support to the deal and expectations for better future returns for CVS. During the Immelt era, there were attempts to grow, such as in the “water business.” But the investments were not consistent, and there was insufficient effort placed on understanding how to monetize the business short- and long-term. Leadership did not offer a compelling vision for how the trends would turn into revenues and profits. 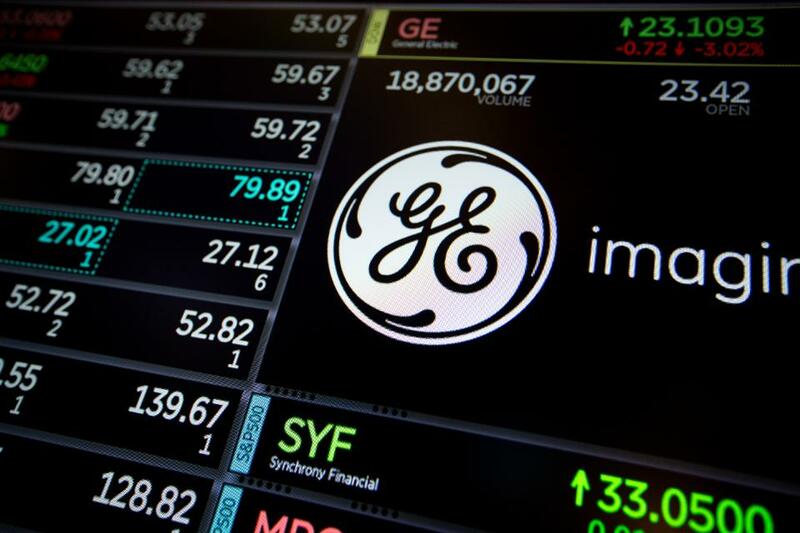 Acquisitions were made, but lacking a strong vision of how to grow revenues, and an outsider’s perspective on how to lead the trend, very quickly short-term financial metrics built into GE’s review process led to bad decisions crippling these opportunities for growth. And today the consensus is that GE will likely sell its healthcare businessrather than make the necessary investments to grow it as CVS is doing. For example, although GE had no background in entertainment, GE bought NBC at a time when viewership was growing and ad prices were growing even faster. This led to higher revenues and market cap for GE. On the other hand, when leaders at CALMA did not anticipate the shift in CAD/CAM from dedicated workstations to PCs, Welch saw them overly tied to old technology and unable to recognize the trend, so he immediately sold the business. He invested in businesses that added to valuation, and sold businesses that lacked a clear path to building on trends for higher value. Being a caretaker, or steward, is no longer sufficient for business leadership. Competitors, and markets, shift too quickly. Leaders must anticipate trends, reduce investments in products, services and projects that are off the trend, and put resources to work where growth can create higher returns. Last week there was a lot of stock market excitement regarding WalMart. After a “favorable” earnings report analysts turned bullish and the stock jumped 4% in one day, WMT’s biggest rally in over a year, making it a big short-term winner. But the leadership signals indicate WalMart is probably not the best place to put your money. WalMart is growing about 3%/year. But leadership acknowledged it was not growing its traditional business in the USA, and only has plans to open 25 stores in the next year. It hopes to add about 225 internationally, predominantly in Mexico and China, but unfortunately those markets have been tough places for WalMart to grow share and make profits. And the company has been plagued with bribery scandals, particularly in Mexico. And, while WalMart touts its 40%+ growth rate on-line, margins online (including the free delivery offer) are even lower than in the traditional Wal-Mart stores, causing the company’s gross margin percentage to decline. The $11.5 billion on-line revenue projection for next year is up, but it is 2.5% of Walmart’s total, and a mere 7-8% of Amazon’s retail sales. Amazon remains the clear leader, with 62% of U.S. households having visited the company in the second quarter. And it is not a good sign that WalMart’s greatest on-line growth is in groceries, which amount to 26% of on-line salesalready. WalMart is investing in 1,000 additional at-store curb-side grocery pick-uplocations, but this effort to defend traditional store sales is in the products where margins are clearly the lowest, and possibly nonexistent. Even after recent gains for WalMart, its market capitalization remains only 53% of its much smaller on-line competitor. This creates a very difficult pricing problem for WalMart if it has to make traditional margins in order to keep analysts, and investors, happy. To understand just how bad this growth problem is, investors should take a look at where WalMart has been spending its cash. It has not been investing in growing stores, growing sales per store, nor really even growing the on-line business. From 2007-2016 WalMart spent a whopping $67.3 billion in share buybacks. That is over 20 times what it spent on Jet.com. And it was 45% of total profits during that timeframe. Additionally WalMart paid out $51.2 billion in dividends, which amounted to 34% of profits. Altogether that is $118.5 billion returned to shareholders in the last decade. And a staggering 79% of profits. It shows that WalMart is really not investing in its future, but rather cashing out the company by returning money to shareholders. 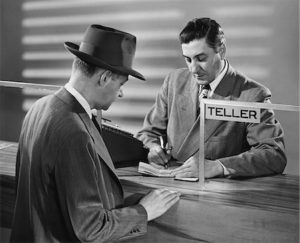 “Say on pay” votes are often seen as a measure of how happy investors are with a company. The average disapproval level on executive pay is 4.3%. At Target, Macy’s and Kroger the disapproval is 6.1%, 6.3% and 6.9%. Investors, however, disapprove of the compensation for WalMart’s leaders at a whopping 16.7%; nearly 4x the average and 2.5x its competition. So very large investors, who control huge voting blocks, recognize that things are not going well at WalMart. But, because of the enormity of the share buybacks, the Walton family now controls over half of WalMart stock. That makes it tough for an activist to threaten shaking up the company, and lets the Waltons determine the company’s future. With WalMart’s announcement last week that it intends to spend another $20 billion on additional share repurchases, the Walton family’s strategy is clear. They are cashing out the business. As money comes in they are going to continue spending little on the traditional business, and in no way do they intend to invest at a level to really chase Amazon on-line. There will be marginal enhancements. But the vast majority of the money is being returned to them, via $20 billion in share repurchases and $1.5 billion in cash dividends annually. 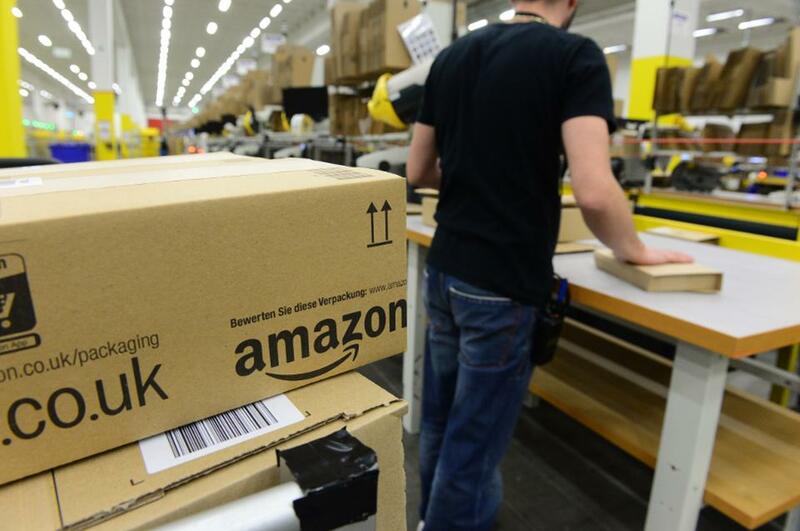 Amazon spends nothing on share repurchases. Nor does it distribute cash to shareholders via dividends. Amazon’s largest shareholder, Jeff Bezos, invests all the company money in new growth opportunities. These nearly cover the retail landscape, and increasingly are in other growth markets like cloud services, software-as-a-service and entertainment. Comparing the owners of these companies, quite clearly Bezos has faith in Amazon’s ability to invest money for profitable future growth. But the Waltons are far less certain about the future success of WalMart, so they are pulling their money off the table, allowing investors to put their money in ventures outside WalMart. Investing your money, do you think it is better to invest where the owner believes in the future of his company? Or where the owners are cashing out? Traditional retailers just keep providing more bad news. Payless Shoes said it plans to file bankruptcy next week, closing 500 of its 4,000 stores. Most likely it will follow the path of Radio Shack, which hasn’t made a profit since 2011. Radio Shack filed bankruptcy and shut a gob of stores as part of its “turnaround plan.” Then in February Radio Shack filed its second bankruptcy — most likely killing the chain entirely this time. Sears Holdings finally admitted it probably can’t survive as a going concern this week. Sears has lost over $10 billion since 2010 — when it last showed a profit — and owes over $4 billion to its creditors. 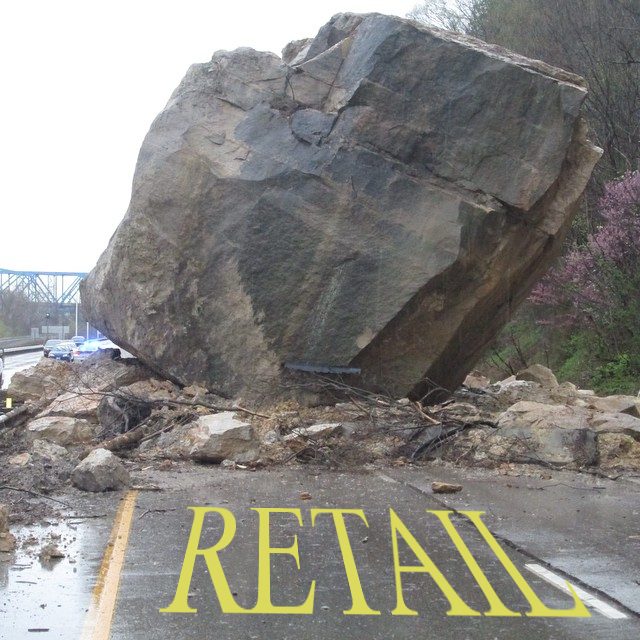 Retail stocks cratered Monday as the list of retailers closing stores accelerated: Sears, KMart, Macy’s, Radio Shack, JCPenney, American Apparel, Abercrombie & Fitch, The Limited, CVS, GNC, Office Depot, HHGregg, The Children’s Place and Crocs are just some of the household names that are slowly (or not so slowly) dying. None of this should be surprising. By the time CEO Ed Lampert merged KMart with Sears the trend to e-commerce was already pronounced. Anyone could build an excel spreadsheet that would demonstrate as online retail grew, brick-and-mortar retail would decline. In the low margin world of retail, profits would evaporate. It would be a blood bath. Any retailer with any weakness simply would not survive this market shift — and that clearly included outdated store concepts like Sears, KMart and Radio Shack which long ago were outflanked by on-line shopping and trendier storefronts. Yet, not everyone is ready to give up on some retailers. Walmart, for example, still trades at $70 per share, which is higher than it traded in 2015 and about where it traded back in 2012. Some investors still think that there are brick-and-mortar outfits that are either immune to the trends, or will survive the shake-out and have higher profits in the future. And that is why we have to be very careful about business myths. There are a lot of people that believe as markets shrink the ultimate consolidation will leave one, or a few, competitors who will be very profitable. Capacity will go away, and profits will return. In the end, they believe if you are the last buggy whip maker you will be profitable — so investors just need to pick who will be the survivor and wait it out. And, if you believe this, then you have justified owning Walmart. Only, markets don’t work that way. As industries consolidate they end up with competitors who either lose money or just barely eke out a small profit. Think about the auto industry, airlines or land-line telecom companies. Two factors exist which effectively forces all the profits out of these businesses and therefore make it impossible for investors to make money long-term. First, competitive capacity always remains just a bit too much for the market need. Management, and often investors, simply don’t want to give up in the face of industry consolidation. They keep hoping to reach a rainbow that will save them. So capacity lingers and lingers — always pushing prices down even as costs increase. Even after someone fails, and that capacity theoretically goes away, someone jumps in with great hopes for the future and boosts capacity again. Therefore, excess capacity overhangs the marketplace forcing prices down to break-even, or below, and never really goes away. Given the amount of retail real estate out there and the bargains being offered to anyone who wants to open, or expand, stores this problem will persist for decades in retail. Second, demand in most markets keeps declining. Hopefuls project that demand will “stabilize,” thus balancing the capacity and allowing for price increases. Because demand changes aren’t linear, there are often plateaus that make it appear as if demand won’t go down more. But then something changes — an innovation, regulatory change, taste change — and demand takes another hit. And all the hope goes away as profits drop, again. It is not a successful strategy to try being the “last man standing” in any declining market. No competitor is immune to these forces when markets shift. No matter how big, when trends shift and new forms of competition start growing every old-line company will be negatively affected. Whether fast, or slow, the value of these companies will continue declining until they eventually become worthless. Nor is it successful long-term to try and segment the business into small groupings which management thinks can be protected. When Xerox brought to market photocopying, small offset press manufacturers (ABDick and Multigraphics ) said not to worry. Xeroxing might be OK in some office installations, but there were customer segments that would forever use lithography. Even as demand shrunk, well into the 1990s, they said that big corporations, industrial users, government entities, schools and other segments would forever need the benefits of lithography, so investors were safe. Today the small offset press market is a tiny fraction of its size in the 1960s. ABDick and Multigraphics both went through rounds of bankruptcies before disappearing. Xerography, its child desktop publishing, and its grandchild electronic screens, killed offset for almost all applications. So don’t be lured into false hopes by retailers who claim their segment is “protected.” Short-term things might not look bad. But the market has already shifted to e-commerce and this is just round one of change. More and more innovations are coming that will make the need for traditional stores increasingly unnecessary. Many readers have expressed their disappointment in my chronic warnings about Walmart. But those warnings are no different than my warnings about Sears Holdings. It’s just that the timing may be different. Both companies have been over-investing in assets (brick-and-mortar stores) that are declining in value as they have attempted to defend and extend their old business model. Both radically under-invested in new markets which were cannibalizing their old business. And, in the end, both will end up with the same results. And this is true for all retailers that depend on traditional brick-and-mortar sales for their revenues and profits — it’s only a matter of when things will go badly, not if. So traditional retail is nowhere that any investor wants to be. 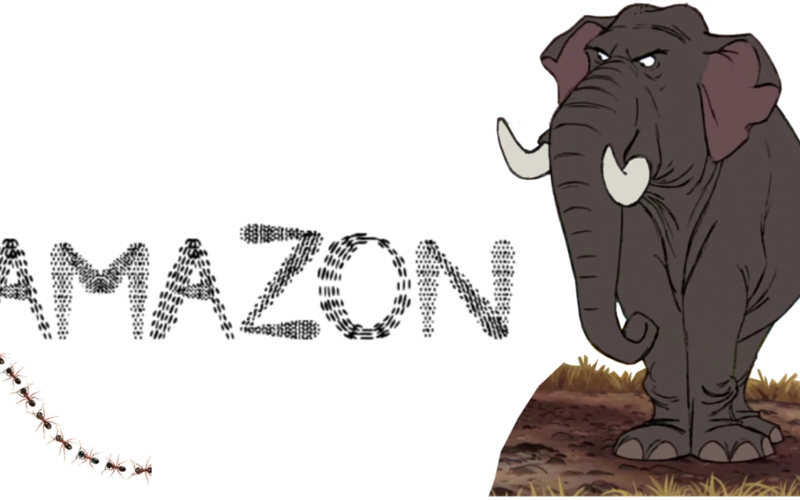 Amazon.com has become an important part of the American economy, and the lives of people globally. But, far too few people still understand the repercussions of Amazon’s success on retailers, consumer goods manufacturers, real estate – and ultimately everyone’s lives. The implications are enormous. Smart leaders, and investors, will plan for these implications and take advantage of the market shift. Invest in ecommerce, divest traditional retailers. To put it mildly, investing in Amazon, which is the leader in e-commerce, has created a great return. Contrastingly that value increase has been fueled by declines in traditional retailers. The Amazon Effect has caused shares in companies like Sears Holdings, JCPenney, Kohl’s, Macy’s and many other stalwarts of the bygone era to be crushed. Over the last year investors in XRT (the retail industry spider) have increased 1.6%, while the S&P 500 spider has jumped 22%. The number of retailers with debt rated at Moody’s most distressed level has tripled since 2009 – and Moody’s predicts this list will worsen over the next five years. Due to the Amazon Effect, the entire brick-and-mortar retail industry is slowly shutting down. JCPenney is closing 140 stores (14%,) Macy’s is closing 100 stores (15%,) Sears is closing 150 stores (15%,) HHGregg is closing 88 (40%) as it prepares for bankruptcy and CVS is closing 70 stores. Kohl’s is planning to shrink the size of almost all its stores to reflect lower sales. Every year the list of store closings, and bankruptcies, lengthens. It is already evident that our ability, as consumers, to “run to the store” for something is being impacted by fewer stores and shrinking merchandise availability. There is vastly too much retail space, and nobody knows what to do with it. And this has an impact on real estate. As online sales come to over 11% of all holiday sales in 2016, and Amazon accounts for 40% of all those sales, it is clear people just don’t go to stores any more anywhere near the way they once did. Historically prime retail real estate was considered valuable – and in 2007 many people thought Sears real estate was worth more than Sears as a retailer. But no longer. According to Morningstar, Sears store closings alone could cause 200 malls to close. It is apparent the Amazon Effect has left America with far more storefronts than needed. Stand-alone stores are being shuttered, with no alternative use for most buildings. Malls and shopping centers go begging as traffic drops, tenants leave, lease rates collapse and the facilities end up wholly or nearly empty. This means you don’t want to invest in retail real estate REITs. But it also means that neighborhoods, and sometimes entire towns, will be impacted as these empty buildings reduce interest in housing and push down residential prices. Tax receipts will fall, and nobody knows how to replace them. For a long time governments gave handouts to retailers in the form of tax breaks to build stores or locate their headquarters. But as stores close the property tax receipts decline, putting a greater burden on homeowners to pay for schools and infrastructure. Same with sales taxes which disappear from the local government coffers. 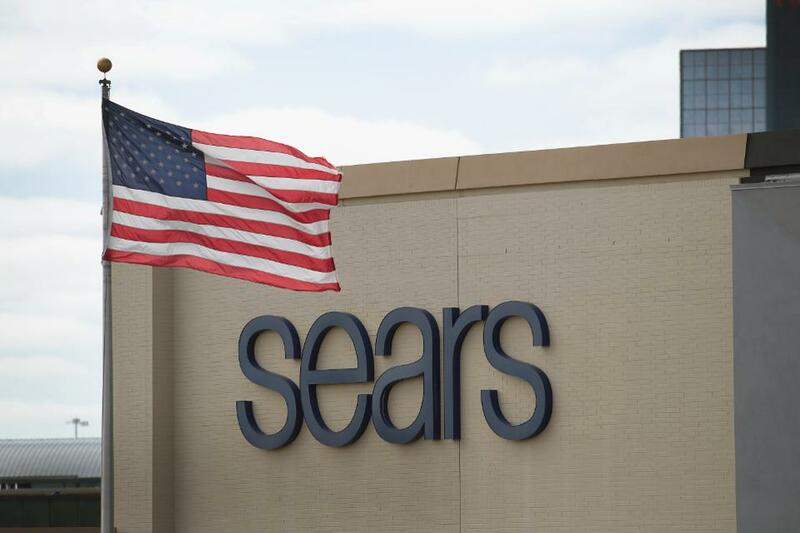 And tax breaks once given to hold onto jobs – like the ones the village of Hoffman Estates and state of Illinois, gave Sears in 2011 to not move its headquarters, look far less justified. In short, the Amazon Effect has an enormous impact on the local tax base – and those missing dollars will inevitably have to come from residents – or a significant curtailing of services. The impact on job eliminations will be staggering. The Amazon Effect also has an impact on jobs. Amazon’s growth keeps escalating, from 19% in 2014 to 20% in 2015 to 28% in 2016, which takes the jobs away from traditional retailers. Macy’s plans to shed 10,000 workers as it shrinks and streamlines. JCPenney will eliminate 6,000 employees via early retirement completely separate from its store closings, and HHGregg is shedding 1,500 jobs as stores close. And thousands more are being lost across traditional retail in stores, supply chain positions and headquarters facilities. Traditional retail employs about 16.5 million Americans – nearly 10% of the entire workforce. 6.2 million are in the prime product lines targeted by e-commerce (GAFO – General, Apparel, Furniture and Other.) The Amazon Effect will continue to eliminate these positions. Over the next five years it is not unlikely that the decline of brick-and-mortar will cause 16% of GAFO jobs to disappear, which is almost 1 million jobs. Simultaneously this could easily cause 10% of the non-GAFO jobs (10.3 million) to disappear – which is another 1 million. This likely scenario would cause the loss of 2 million jobs in just five years, which is the entirety of all lost manufacturing jobs to China. The Trump administration has more employment concerns to face than just the return of manufacturing. The Amazon Effect is changing grocery shopping, without even being a major competitor in that sector. Because Wal-Mart has lost so much general merchandise sales to e-commerce, the company has amped up grocery sales – which are now 56% of total revenue. To continue growing groceries Wal-Mart is undertaking a massive price war pitting itself against the long-running low cost grocer Aldi. This is creating even more intense profit pressure on Wal-Mart, which last year saw gross margins drop by eight points, as net income fell 18%. Such intense price competition is creating the need for even more cost cutting among all grocers – which means investors beware – and we can expect even more job cutting as the spiral downward continues. Consumer Goods manufacturers, and their suppliers, will be stressed. Of course this pushes the Amazon Effect onto consumer goods companies that supply grocery retailers. Wal-Mart has held meetings with P&G, Unilever, Conagra, Coca-Cola and other big name companies demanding across-the-board 15% price reductions at wholesale. And Wal-Mart expects these suppliers to help Wal-Mart beat its head-to-head competitors on price 8o% of the time. This will cause consumer goods manufacturers to cut their own costs, including jobs, as well as pressure their raw material suppliers to further reduce their costs – leading to an ongoing spiral of cost cutting, job eliminations and additional pressures for change. The internet gave us e-commerce, and that birthed Amazon.com. Few predicted the enormous implications this would have on retail, and society. Every single American is affected by the Amazon Effect, which is now inescapable. The only remaining question is whether your business, your government leaders and you are planning for this and preparing for the inevitable changes which will continue coming?